The revised plans would be good for the local economy and employment said the clerk of Freshwater Parish Council. 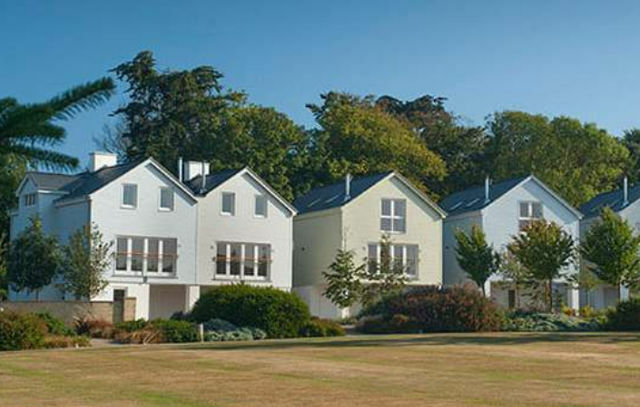 A masterplan to complete the West Bay Club could see 32 new houses built, alongside an extension to the country club. The owners are looking to finish the Yarmouth development, first started when the site was bought in 2009. Total investment so far has topped £1.47 million. The plans were first submitted to the Isle of Wight Council earlier this year, however, they have been resubmitted following revisions to the layout of houses and access arrangements, and with additional detail about the bus stops and ecology. It could see a two-storey block of four flats built, four holiday units and a residential unit for managerial staff. The laundry and staff facilities would also be relocated. Proposals have also been put forward to extend the country club facilities, including a new reception and a spa. An outside pool could also be on the cards. West Bay also plans to establish a cycling performance centre. The club estimates it receives an average of 67 club visits a day. With 650 members, of which 100 are occupiers of the site (either seasonally or permanently), it said the changes would not increase traffic to the site, but instead mean people stay for a longer period of time. Car parking would be provided for the new residential units. The original plans attracted 19 comments online. However, he did outline some concerns about noise, privacy and light pollution. Concerns were also raised by residents about the location of the tennis courts, and the amount of parking on site. The Isle of Wight Badger Trust also objected to the original plans. Residents can comment on the plans online before 30th November.